How Far Down Should a Tie Hang? 2 How Far Down Should a Tie Hang? 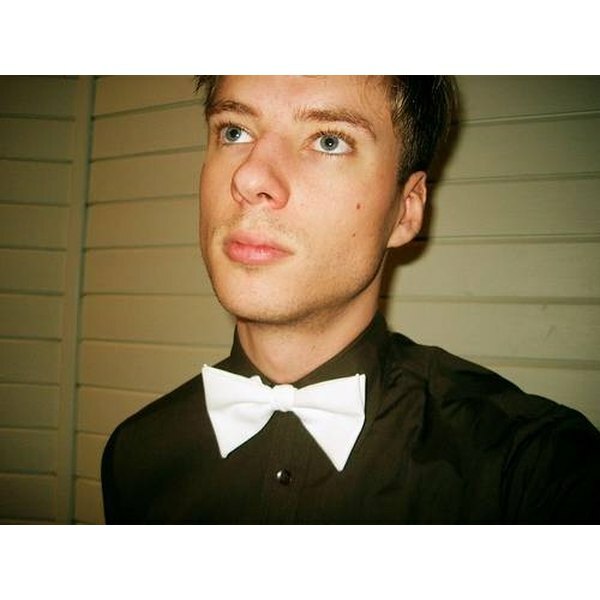 The bow tie and tuxedo shirt are a classic part of men's formal wear. Wearing them properly may seem easy enough, but a few tips can save you from any mistake in your outfit and perfect your style. Learn the proper way to wear a bow tie, down to the last detail. 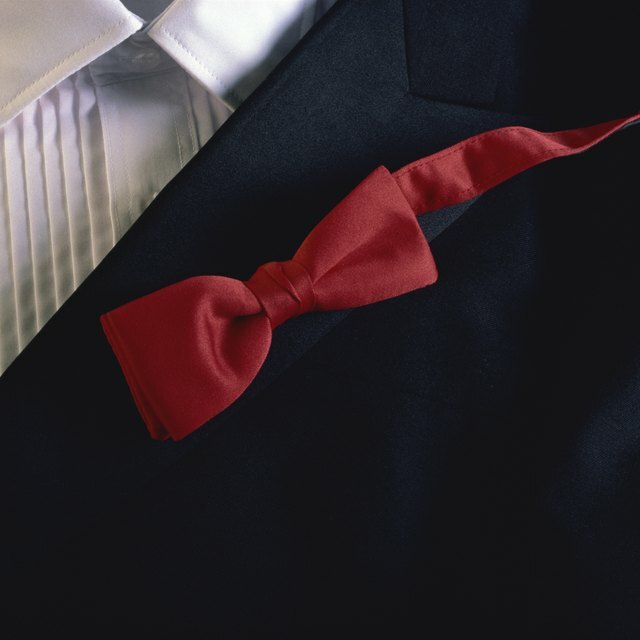 Prepare your tuxedo shirt properly before dressing. Iron your shirt or have it dry cleaned. Touch up the shirt by ironing the collar and sleeves; the collar will be particularly important, and in order to host your bow tie you should ensure that it is stiff and smooth with no wrinkles. Put your tuxedo shirt on before your bow tie. Ensure your bow tie is properly tied. You can't possibly be wearing your bow tie with a correct fit if you haven't fastened or tied it in the ideal way. Whether your bow tie is adjustable and pre-tied, or you have tied the knot yourself, verify that your bow tie size is not broader than the widest part of your neck and does not extend past the tip of your tuxedo shirt collar. To check that your bow tie is knotted correctly, use the Resource link provided below. Align your bow tie. Check that the knot is centered and is relatively tight against your neck. Tuck your bow tie under your collar as it passes around your neck, but the bow will be in front of the collar opening; your shirt collar tips should be behind the bow tie, while the neckband should pass under your collar.